If you want to appear different in the bunch of employees while the business meet takes place then a business meet pattern leather blazer can be the best one to choose for. 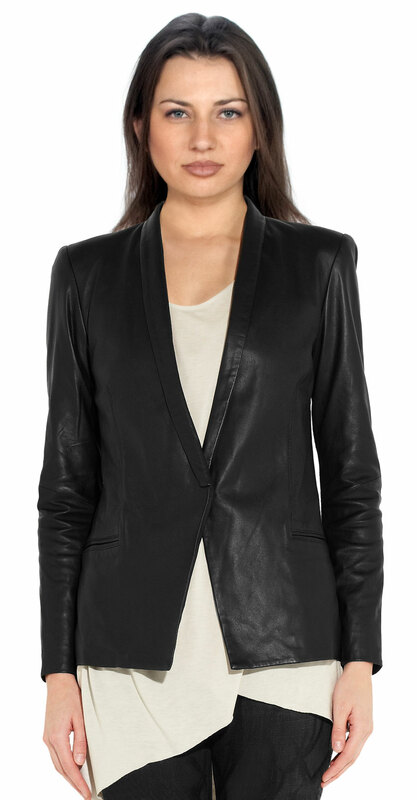 This leather blazer is made in soft lamb leather that truly gives a unique elan to the outfit. This outfit just has some basic features in it but stands different in the collection of formal leather blazers.